A new mom's beautiful tribute to her stretch marks is going viral. 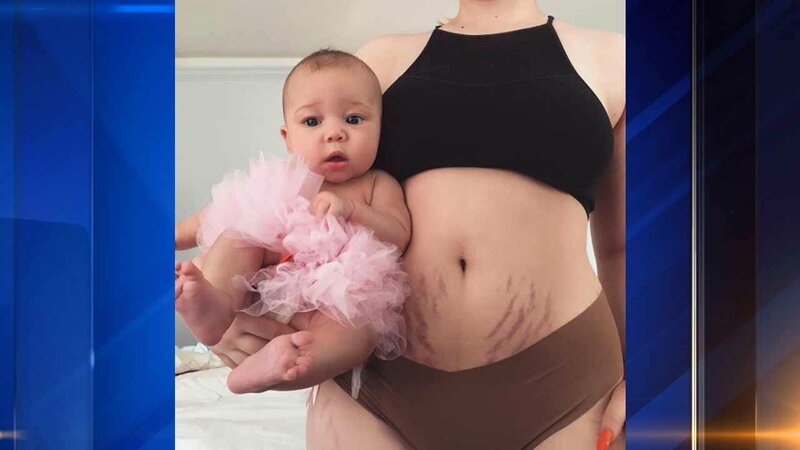 Abagail Wedlake shared a photo of her 4-month-old daughter next to her bare belly, writing: "I've earned my stripes and am embracing them more and more everyday." She wrote on Instagram that she has one mark for "every breath you took, every blink, every sleepy yawn. One for everytime you slept in perfect darkness. One for every dream you dreamt. It was your home and where I grew to love you. Wedlake posted the tribute with the hashtags #lovemymombod and #postpartumqueen. It's received more than 16,000 likes and nearly 400 comments since she posted it on April 23. "Postpartum bodies are different but show the beauty of being given the chance to bring life into this world," she wrote.